It has a superior mouth feel, apparently. HARRODS, THE ICONIC department store, has a new product on its shelves: a bottle of “luxury water” retailing at £80 ($130), harvested from icebergs in the Arctic Ocean. 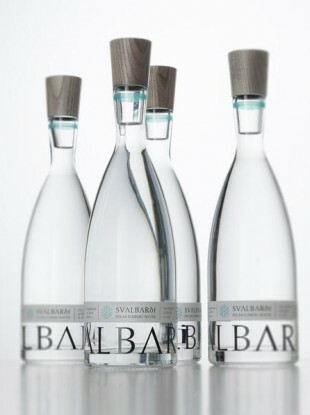 Between 15 and 17 February, 750ml bottles of Svalbarði Polar Iceberg Water will be available to purchase in Harrods’ Food Hall in London. The bottles can be bought online for €69.95 for a single 750ml bottle, or 359.70 in a six-bottle gift case. The brand’s founder, Norwegian-American businessman Jamal Qureshi, said he founded the brand after collecting melt water from the Norwegian territory of Svalbard in 2013 as a gift for his wife. Once 15 tonnes of ice is gathered, it is melted and bottled by hand in order to “capture the water in its purest form.” Each trip yields 13,000 bottles.Qureshi now collects batches of the water by chartering an icebreaker with the permission of the Governor of Svalbard and travelling to the icebergs of Kongsfjorden, which is 1,000km from the North Pole. The fine water is a sophisticated alternative to alcohol, and enriches culinary experiences. The company says the harvesting process is sustainable as “the ice [that] is extracted would otherwise melt into the sea.” It added that the packaging is sustainable, and that it is involved with various initiatives against global warming. Email “You can now buy 'luxury' water from melted icebergs for €94”. Feedback on “You can now buy 'luxury' water from melted icebergs for €94”.